Most people don't realize that eating hummus is actually not only 'not bad for you' but it's also good for you. 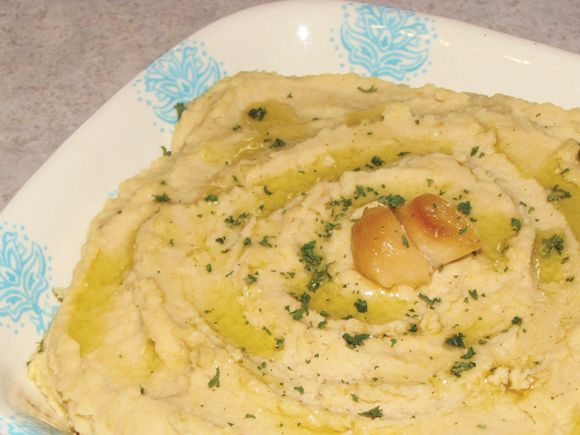 The main ingredient in hummus is garbanzo beans (chick peas) and they are loaded with fiber. You know what fiber does, right? Well, I'll just say it's good for your digestive tract. They also don't have any cholesterol or saturated fats which means they'll be nice to your hips and they're chock full of protein. So if you aren't a meat eater, chick peas are a good choice. Wondering about all that oil? Well, if you use olive oil, which is the proper oil to use in the dip, you're actually helping your heart. Olive oil is high in monosaturated fat and low in the saturated stuff. It helps to regulate cholesteral and give your heart some help in protecting it from some diseases. Should I go into the benefits of garlic? Of course! Garlic is one of those things that should be included in your regular, daily diet. It is high in antioxidants which may be helpful in preventing various types of cancers. However, these disease fighting boosters aren't beneficial (and can actually be killed off) if garlic isn't prepared properly. If you want to keep the health benefits of garlic in tact, you have to let your garlic rest after chopping it, before adding it to your pot, pan, whatever. If the garlic sits on your counter for about 10 or 15 minutes, those anticancer compounds will form and withstand the heat of cooking. These little cloves of goodness may regulate blood sugar and might help prevent some complications of diabetes. Garlic has also been known to thin blood which may help decrease heart disease, heart attack, and stroke. And you might be wondering about that hummus standard: tahini. Well, my version doesn't have any. I wasn't too keen on buying a big jar for such a small amount. Besides, tahini is pretty high in fat and calories. But even if you decide to use it in yours, the amount that is needed for each batch is pretty small so you're good. Just don't eat it out of the jar and you won't really need to worry. That would be pretty gross though, so please don't do it. 1. Drain and rinse beans then put them directly into a food processor. 2. Add lemon juice and garlic cloves then start pureeing them together. Keep it running while you drizzle in the oil. 3. Puree until it's smooth. Season with salt and stir well. That is the same recipe I use for my humus. I don't buy tahini either. I use whatever kind of nut I have on hand. I have used roasted soy nuts, pistachio, walnuts, peanuts, pecans, etc.. I just just roast them first and add them to the food processor when I add the garbanzo beans. Process till it's the consistency you like. Good stuff! !